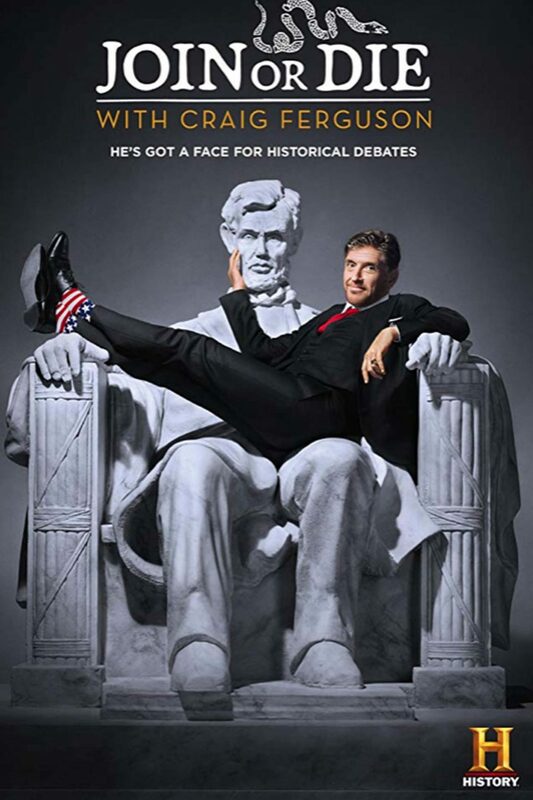 Join or Die with Craig Ferguson features the comedian debating provocative and timely topics in his unorthodox and iconoclastic manner. Each episode features a panel of guests which will include celebrities, comedians and experts, as well as the American public through social media. Topics will include: biggest presidential campaign flop, greatest founding father and which invention was history's greatest game-changer.